See what a short-term plan can do for you. Count on Mylo for those "in between times." A gap in health insurance is no one’s idea of fun. That's why short-term medical insurance can be a smart temporary solution. 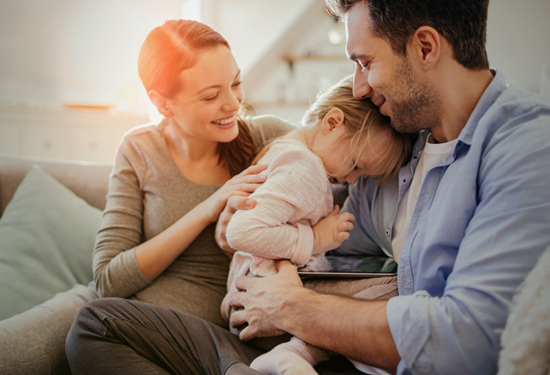 Whether you’re between jobs, waiting for new coverage to kick in or leaving your parents’ plan, you'll be protected when unexpected accidents or illnesses come along. While not a long-term replacement for major health insurance, short term is a much less pricey alternative to COBRA and covers you for as little as 30 days to up to 12 months. Mylo’s friendly licensed agents will guide you through the options to find a plan that's right for you. It's easy — just check out our video. Spoiler alert: COBRA is a pricey choice for health care coverage. We'll guide you to a better option. It's easy to apply. We'll get the approval process going as soon as you say, "bring it." Mylo’s friendly experts can answer all your questions about short-term medical insurance and help you decide which plan is right for you. Although short-term plans don't cover pre-existing conditions, exams, vaccines or preventative care, they protect you from unexpected illnesses and accidents. You can apply at any time. And if your plan ends, you can apply for another. And while short-term medical coverage can be a slam-dunk choice over no insurance at all, keep in mind that it’s meant to be temporary. Questions? Our licensed agents aren't short on information. Why is short-term medical insurance important? When your circumstances change because of a layoff or a too-long transition between jobs, it can bring the peace of mind of being covered if an unexpected accident or illness hits. How does short-term medical insurance work? Short-term medical insurance plans provide coverage for a shorter period than standard insurance. Typically from 6 to 12 months, but some plans are as short as 30 days. What does short-term medical insurance cover? Short-term medical insurance protects you and your family against sudden illnesses or an accident. It doesn’t provide coverage for services like exams, dental and vision care. Want to spend less time and effort chasing down the right option for each of your insurance needs? Mylo has a fast, friendly and free solution. We've gathered together a wide range of affordable plans in one easy-to-navigate spot. Before a curve ball comes along, Mylo’s expert guides can find you the coverage you need to stay in the game. Protect your pearly whites and avoid problems down the line by letting Mylo guide you to the brightest choices in plans. Mylo can help keep your eyes healthy and lenses affordable by bringing the best coverage for you into sharp focus.